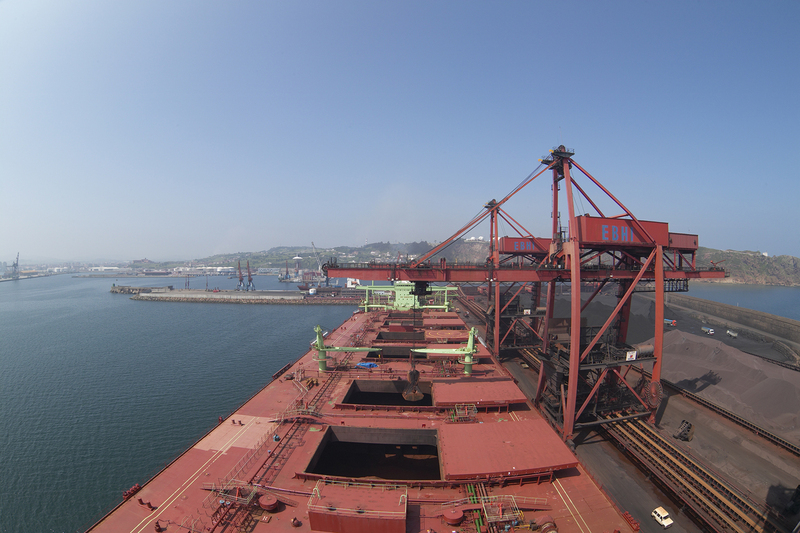 The quay is 837m in length and with a maximum draught of 17.98m, two ships of over 200,00 tonnes (dead weight) can be discharged at the same time. Discharging is carried out by unloaders linked to the stockyard via 3 conveyor belt systems which allow simultaneous operations of three different types of material. The unloading dock is connected to the Arcelor Mittal Installations by means of a conveyor belt, which enables us to perform a direct unloading operation from the ship to the client´s installations.